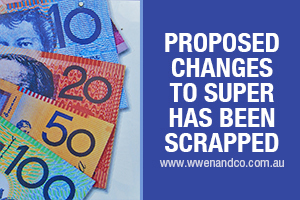 The new Parliament released the first batch of proposed changes to superannuation, and among these was the announcement that the proposed $500,000 lifetime non-concessional cap is to be scrapped. These measures were previously announced in the Federal Budget earlier this year before the election. These proposed changes are still in exposure draft form and may be subject to further tweaking. The non-concessional contributions cap is going to be $100,000 per year, starting from July 1, 2017 (instead of the current $180,000 cap). Superannuation fund trustees who were required to finalise contracts that depended on large non-concessional contributions can relax now, as the caps and rules regarding the non-concessional contributions will operate the same as they do currently. Similarly for trustees who are required to restructure their limited recourse borrowing arrangements (LRBAs) in order to comply with the ATO’s benchmark terms. At present, the eligibility for a tax deduction for personal super contributions (that is, after-tax contributions) is subject to a maximum earnings condition. This will enable employees to claim a deduction for personal contributions without resorting to salary sacrifice arrangements. Note however, that salary sacrifice agreements will continue to be relevant because they reduce the PAYG withholding amounts from salary and wages hence increasing the take-home pay.